Production on Netflix‘s flagship series House of Cards was suspended earlier this year following accusations of sexual harassment against series star Kevin Spacey. Netflix said it would not move forward with Spacey. 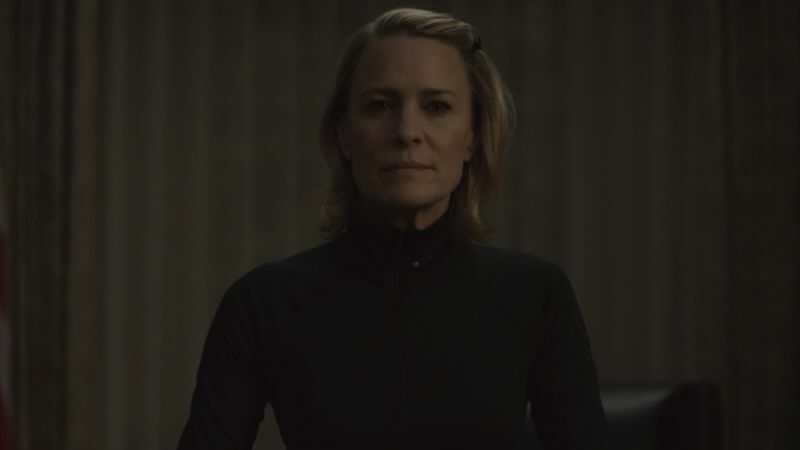 Now, Netflix has announced that production on the series will officially resume next year with Robin Wright set to be the star of the series moving forward. The upcoming sixth season of House of Cards, featuring Wright’s Claire Underwood, will be the final season for the series and will feature less episodes – eight episodes instead of the usual 13 episodes. “We are excited to bring closure to fans,” Ted Sarandos, Chief Content Officer for Netflix said this morning. It remains to be seen if the series will debut in its previously-scheduled release window of 2018. What also remains unclear is how the show will move forward without Spacey’s involvement, but one thing the producers are considering is simply killing off Spacey’s character, Frank Underwood. As the series comes to a conclusion, Netflix is also considering three different House of Cards spin-off series. Among the in-development spin-offs is one series about Michael Kelly’s “fixer” character Doug Stamper that has Eric Roth as a writer. House of Cards first premiered in 2013 as the very first Netflix original series and has since gone on to be nominated for over 50 Primetime Emmy nominations over the years. The series also stars Robin Wright, Michael Kelly, Jayne Atkinson, Neve Campbell, Derek Cecil, Paul Sparks and Joel Kinnaman.